Joachim von zur Gathen has a Diplom in Mathematik from ETH Zürich, and graduated as Dr. phil. from Universität Zürich in 1980. He took up in 1981 a postdoc position in the Department of Computer Science at the University of Toronto, eventually becoming a Full Professor. 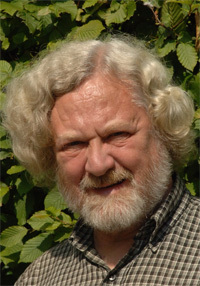 In 1994, he moved to the Department of Mathematics at Universität Paderborn. Since 2004, he has been a professor at the B-IT and the Department of Computer Science at the Universität Bonn. His research interests, past and present, include algebraic complexity theory, parallel computation, finite fields, computer algebra, and cryptography.